When I was a child, there was one celebration I looked forward to more than Christmas. “Blasphemy!” I hear some of you say. Let me put it this way. During Christmas, you get presents in nice gift-wrapped packages, and what you get tends to be pot luck. 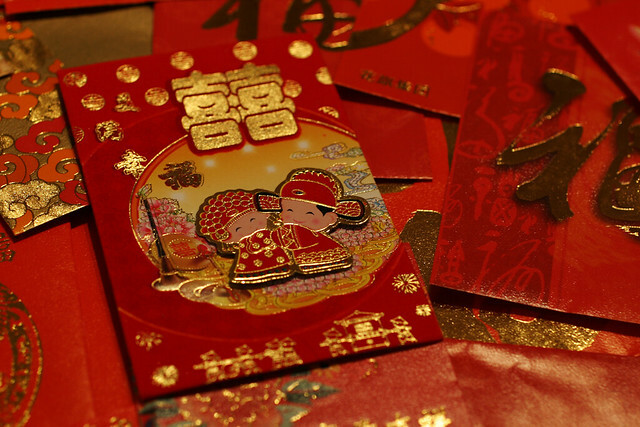 During Chinese New Year, however, you get cold, hard cash in small red envelopes. As I’ve grown older, however, I’ve learned to appreciate it for what it is: a time when the family comes together. Doesn’t matter how far or how long you need to travel, you get yourself home for it. If you’ve ever seen photos of the New Year crowds in China that fill the train stations and airports from wall-to-wall, or the cars backed up for hundreds of kilometres along the highways, you’ll understand the strength of that compulsion. Asian culture tends to be more focused around the family unit and the Chinese New Year holiday period is certainly one of the main examples. Quick disclaimer: There are variations in how the holiday is celebrated throughout the different countries–this is the Southeast Asian version. The first day of the new year is traditionally spent with family, both direct and extended. You’ll see the children running around to all their married family members and saying “Gong Xi Fa Cai”, which roughly translates to something like “Congratulations, and may you be prosperous in this new year.” They get their red packets, and will politely disappear somewhere out of sight of the giver to see how much they’ve netted. Technically, the red packets are for all unmarried family members, but it does tend to me more of a kid-centric affair. For the adults, of course, it’s a good chance to catch up with those they haven’t seen all year–and those they have. Then there’s the reunion dinner at night, which is the biggest event of the new year. Asians love their food, and the dinner never fails to disappoint. The next few days are spent visiting friends. You’ll go to their place, or they’ll come to yours. It’s common to visit 5–10 different friends in a day. The tradition is to give the hosts two mandarins, upon which you’ll also receive two in return (but usually more). As my mum put it, you’ll head out with two mandarins and come back with a whole bag. Mandarin growers must love this time of year, since everyone tends to buy boxes of them in preparation. Chinese New Year snacks do a roaring trade as well, and the more popular places will have all their goodies pre-reserved by customers long in advance. After all, you can’t be a good host without offering your visitors things to eat. I’d love to say I know all this because I’ve experienced it first-hand. Sadly, I’ve only ever been in an Asian country once in my life over the Chinese New Year period. The reason for this is that it’s usually celebrated at some point between the end of January and the end of February–it changes each year depending on the lunar cycle. The new school year has started by then, meaning that travel was out of the question while my sister and I were going through school. But we still manage to celebrate it in our own way in Australia. At the very least, our family gets together with my aunts and their families, and we all have the reunion dinner together. (No mandarins are bought or exchanged, however.) When I was working in Canberra, I’d make a point of coming home for it. It had nothing to do with the fact that I was unmarried, of course! We may not have a grand feast, but we’ll either get together around a hotpot, or do a pot luck. Things tend to end relatively early because people will have been working that day, and have work the next day as well. Unfortunately, Australia doesn’t have any public holidays for Chinese New Year, so we make do with the dinner. It also tends to rule out the visits to friends, as everyone’s off at work. So really, it’s a lot like Christmas redux. To the Chinese living in Asian countries, it probably seems like a nearly non-existent version of the real deal. To Westerners, they probably don’t know just why we celebrate it when we already had Christmas. But the important thing is, we make the effort to get together. We celebrate family, and we celebrate the year that’s passed and the year to come. It’s our odd holiday custom.